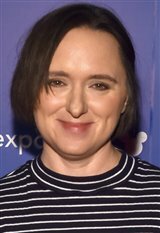 Born in Oklahoma, actress Sarah Vowell was raised in Montana. She was hired to provide the voice of the sassy teenager daughter Violent in the Disney/Pixar film The Incredibles (2004). The film was a huge hit and she reprised her role for the sequel, Incredibles 2 (2018). Sarah has also appeared on TV shows such as Six Degrees and Bored to Death. Additionally, she's known as a contributing editor for the public radio program This American Life since 1996. She also works as a reporter and has authored several books, including Assassination Vacation (2006), The Wordy Shipmates (2009) and Lafayette in the Somewhat United States (2015).